What Can a .STORE Domain Name Do for You? When you search for a name for your new website, you remember the advice "Be sure to get a dot com domain." That's what we've been told over the years. It's not true (at least not any longer). Until recently, you didn't have a lot of choice when you were looking for domain names – .com, .org, or .net. And more often than not, the name you'd fallen in love with wasn't available as .com. So then you had to decide whether you'd settle for .org or .net. With the proliferation of online sites needing URLs, domain name registry companies were forced to expand the list of domain extension options – all to your benefit. You no longer have to settle for .org or .net. SimpleSite is one of the providers that offers .store as a top level domain. Don't wait. Visit SimpleSite now to build a website in minutes and reserve your .STORE domain name now. Just click the green button. Reserve Your .STORE Domain Now! It tells your visitors what to expect. If you have an online store, wouldn't it be great for you to have .STORE in your URL? People shop online more and more – .STORE is perfect for you to attract these shoppers. A person who wants to make an online purchase is more likely to click on a link that has .STORE in the URL. .STORE makes your website easy to brand. Your domain name tells your customers precisely who you are and what you do. Visitors will know exactly what to expect on your site. With .STORE as your domain name extension, the first part of your URL can describe your product with SEO keywords. Then, the .STORE extension tells potential customers that they'll be able to buy that product on this site. If you had scubagearforyou.com, on the other hand, visitors wouldn't know whether you were blogging about scuba equipment or reviewing it or whatever. But the .STORE extension tells visitors they'll be able to purchase scuba gear at your site. You might lose a few visitors, but they weren't shoppers anyway. You're always better off being totally upfront with visitors. You get a professionally looking email address. Your email could be something like this: Sally@scubaforyou.store. 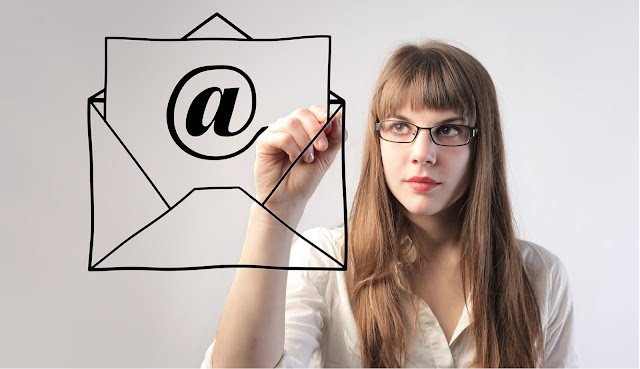 Even your email address can attract shoppers. Using a top-level domain for your website will make it more likely to appear in search engines. In the 'old' internet days, just about everyone told you that the only efficient top-level domain was .com, and that Google would penalise you if you didn't use .com. Maybe that was true. Maybe not. But today, Google assures that it treats all top level domain extensions the same. So .STORE will have the same chance of appearing in Google results as a .com as long as you've optimized your SEO. In fact, your .STORE website might have a better chance of being high in search results if your visitors are specifically searching for a store. Is This the Time to Grab a .STORE Domain Name? Yes, this is definitely the time to grab your .STORE domain. You have a good chance of getting your first choice of name using .STORE instead of .com. In other words, you won't have to skip a vowel or misspell the name you actually want. .STORE domain names can be shorter. If you have famoustoysstore.com, you can use famoustoys.store – much more professional and easier to remember. Be an early adopter of a .STORE domain name extension to enhance your online marketing and stand out from the competition. Just click the green button to get started building your FREE website with a trendy new domain name extension. Build Website with .STORE Domain Here!